As someone who has their nails painted 99% of the time, I bought this product in the hope it would be a great addition to my manicure routine. 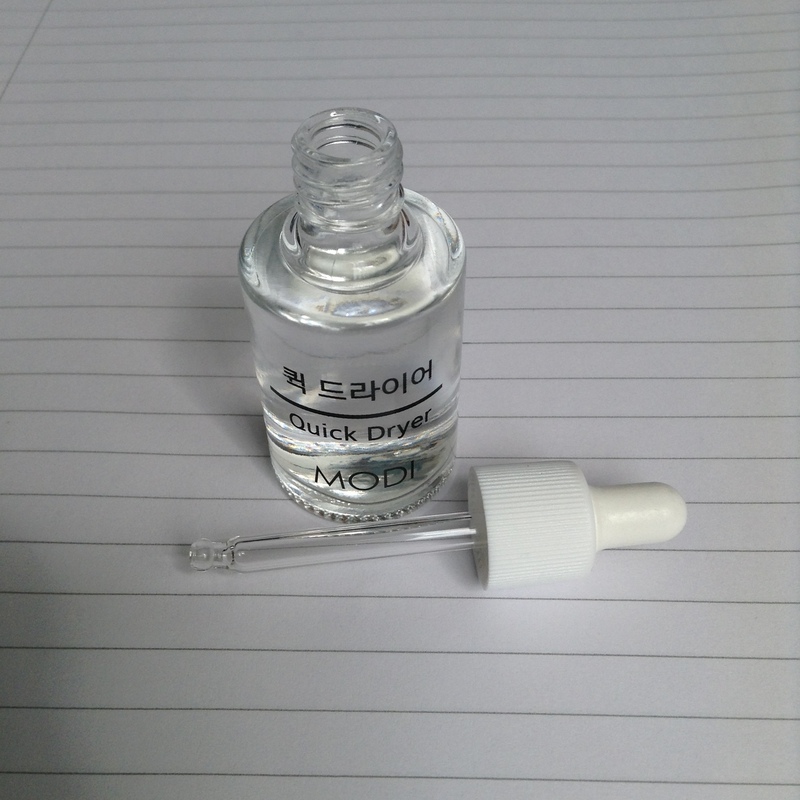 It promises to rapidly decrease the length of drying time of freshly painted nails, whilst ensuring no smudging from a brush like you might get with a traditional top coat. I actually really like the concept of the pipette- it allows you to drop the perfect amount onto each nail without going over the edges, and it greatly cuts down application time. Unlike normal top coats, it doesn’t have the strong scent of nail polish- in fact, it has almost no scent at all, which would be great for those who usually hate the odour. However, overall I don’t find it works quite as well as some of my favourite top coats. 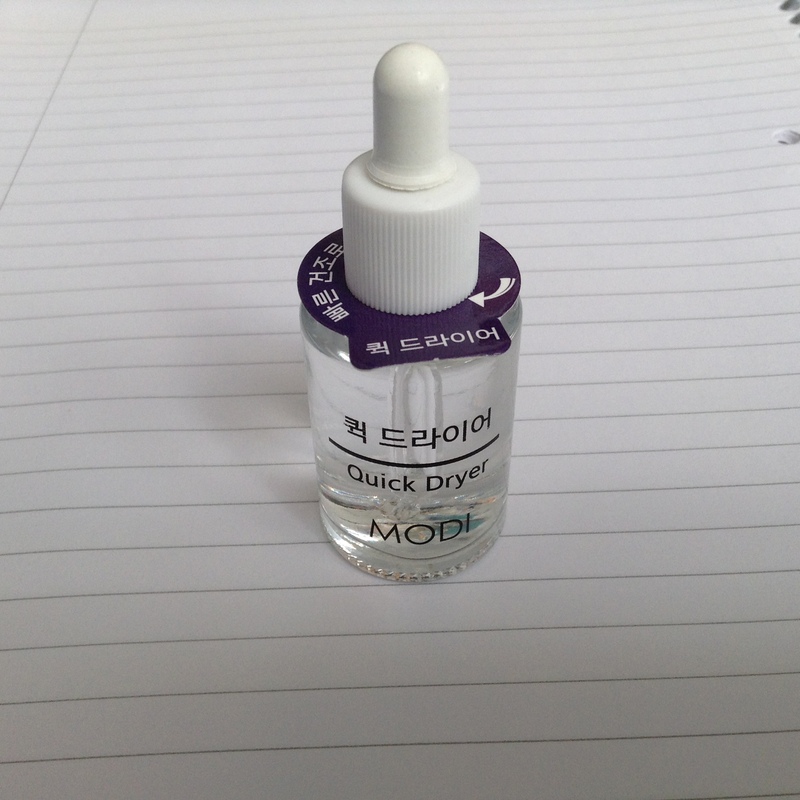 The Modi Quick Dryer takes longer than I would like to dry completely, for though it becomes ‘touch dry’ within a few minutes, even after about 15 minutes I managed to smudge the polish after only a slight knock to my nails. It also lacks the high-shine finish I usually look for- it dries somewhere in between matte and shiny. It’s definitely better than not using any top coat on your nails at all, and for the low price of around £4 it’s pretty good value for money, however I think I’ll be sticking to my beloved Sèche Vite and Essie Good to Go for now.